TYLT is one of companies at the moment that is spearheading the movement of Qi wireless charging. They already have a number of products in their line such as the TYLT VU-mate and TYLT VU that we have covered here on Qi wireless. They’re now putting out two more wireless chargers in their lineup, the TYLT VU Wireless charging car mount and the TYLT VU SOLO. 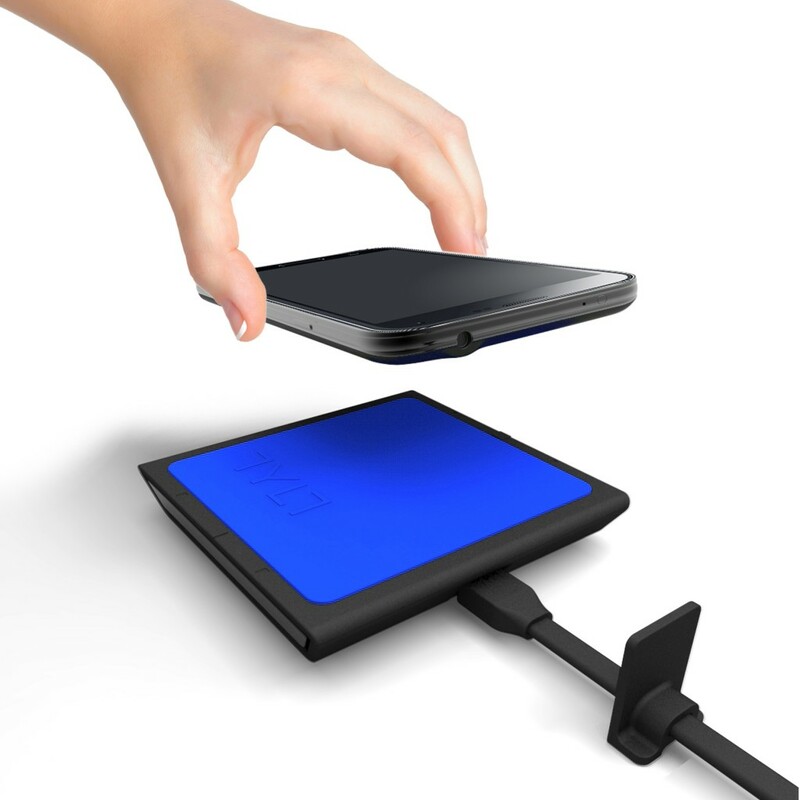 The VU SOLO is just a simple wireless charger that works through a micro-USB plugged in. It does not need any fancy wires exclusively from TYLT which means that any micro-USB cord will work fine with the VU SOLO. I’m sure we have at least one of those things lying around somewhere. Just in case you don’t though, the VU SOLO will be shipped with one along with their patent pending mobile phone alignment system, or ALIN. That’s quite a long name for a little piece of plastic on the cord to properly align your phone. Although it is a very useful feature as once it is set up, you won’t need any more fumbling around trying to find that perfect sweet spot for charging. The TYLT VU SOLO will be available in blue, red, apple green, and gray for quite a cheap price of $39.99. Their VU wireless charging car mount is a tad bit more interesting than the more generic VU SOLO, although that could just be my opinion about it. This uses 3 coil technology to make it easier to just pop the phone in and have it charging. It’s quite a handy gadget to have since the place you don’t want to fumble around in is your car. 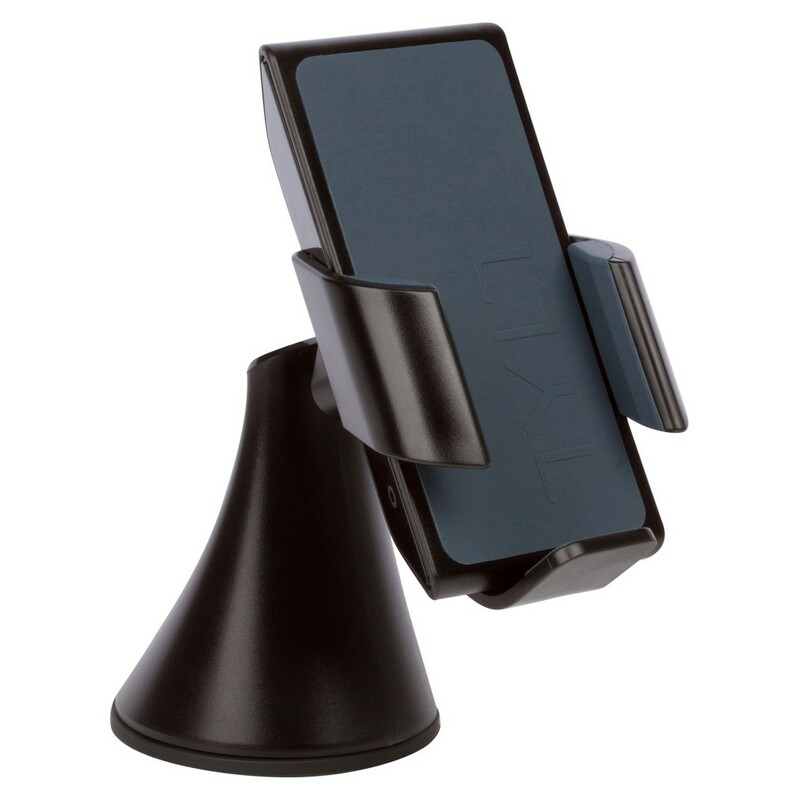 The two hands on the sides are adjustable for it to be able to hug your device right in place. The foot at the bottom is also adjustable to have the desired position for charging. If you’re worrying that your phone might be too large for this, then fear not as this has more space than that Galaxy Note Series can take up. The colors available for the TYLT VU Wireless Charging Car Mount is just the same as the VU SOLO which are blue, red, apple green, and gray and will be available for a reasonable price of $79.99. You may also check TYLT’s site for more information and their other products available.